This handy little card will add a total of three extra USB3.0 ports to your PC, 4x Type-A, 1x Type-C ports. 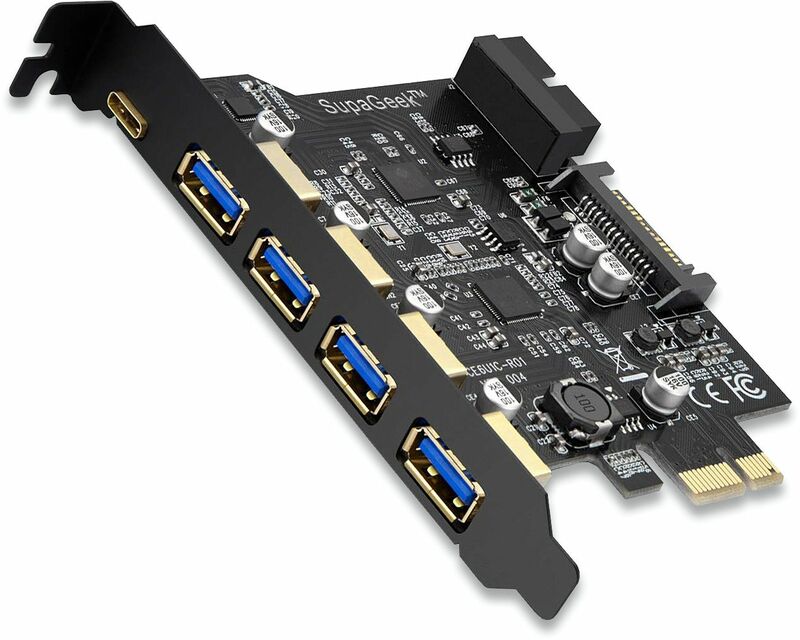 The SupaGeek PCI Express to USB3.0 is an expansion card designed to add addition USB3.0 ports to your desktop PC. It provides a total of three additional ports accessible externally. 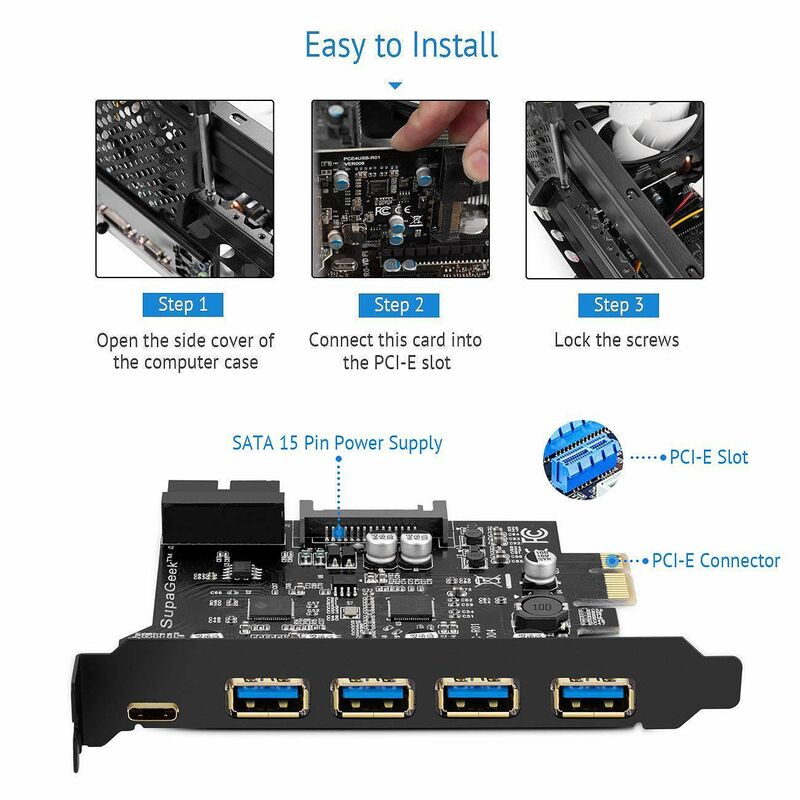 Two of the three ports are standard Type-A USB ports and the other is a universal Type-C port. The card also features a SATA power connector to provide sufficient power to the card to ensure smooth data transfer. The card is also supplied with a low profile bracket if required.